Diwali Celebrations On 04th November 2011@ 7.00 pm. 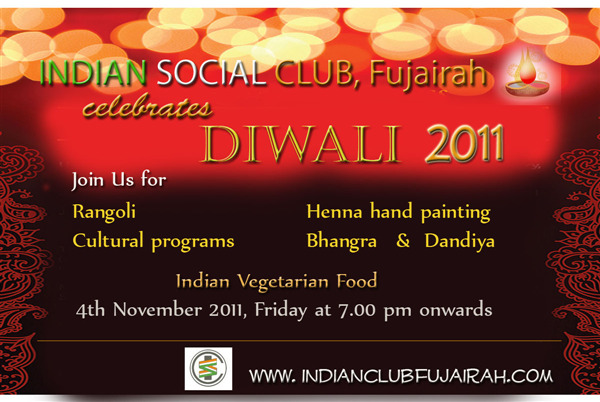 Indian Social Club, Fujairah presents Diwali Celebrations On 04th November 2011@ 7.00 pm. Followed by Cultural Dances, Games, Dandiya & Dinner at ISC Auditorium. Let’s spread joy, love & light through this.